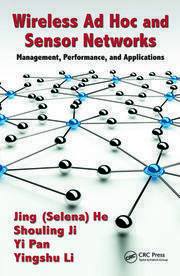 In recent years, a lot of work has been done in an effort to incorporate Swarm Intelligence (SI) techniques in building an adaptive routing protocol for Mobile Ad Hoc Networks (MANETs). Since centralized approach for routing in MANETs generally lacks in scalability and fault-tolerance, SI techniques provide a natural solution through a distributed approach for the adaptive routing for MANETs. In SI techniques, the captivating features of insects or mammals are correlated with the real world problems to find solutions. Recently, several applications of bio-inspired and nature-inspired algorithms in telecommunications and computer networks have achieved remarkable success. 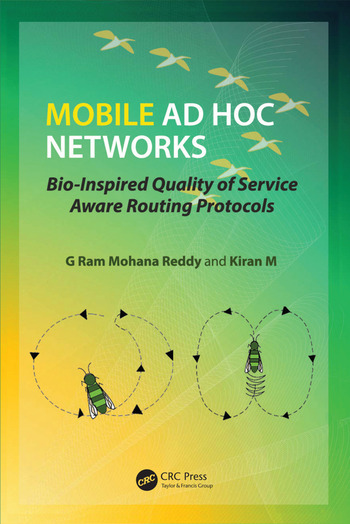 The main aims/objectives of this book, "Mobile Ad Hoc Networks: Bio-Inspired Quality of Service Aware Routing Protocols", are twofold; firstly it clearly distinguishes between principles of traditional routing protocols and SI based routing protocols, while explaining in detail the analogy between MANETs and SI principles. 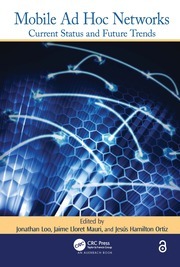 Secondly, it presents the readers with important Quality of Service (QoS) parameters and explains how SI based routing protocols achieves QoS demands of the applications. 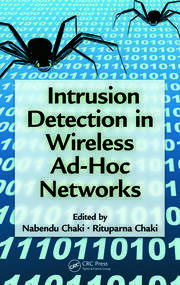 This book also gives quantitative and qualitative analysis of some of the SI based routing protocols for MANETs. Introduction. Swarm Intelligence Techniques. SI Solutions to Routing in MANETs. SI Solutions to QoS in MANETs. SI Solutions to Security Issues in MANETs. Conclusions and Future Directions. Appendix. References. Prof. Dr. G. Ram Mohana Reddy is currently the Chairman of Central Computer Centre, National Institute of Technology Karnataka, Surathkal, Mangalore. He received his Masters Degree from Indian Institute of Technology, Kharagpur. He was awarded Commonwealth Scholarship/Fellowship for pursuing Doctoral Research at the University of Edinburgh, U.K. His research interests include Affective Computing, Bio-inspired Computing, Cognitive Speech Science, Healthcare Informatics, Intelligent Cloud Computing, QoS Aware MANETs, Social Network Analysis. He has guided 10 PhD Scholars, 20 MTech Projects and 100 BTech Projects. Further, he has published 150 International Journals, Conferences, Book-Chapters in ACM/IEEE/IET/Elsevier/Springer Proceedings. Dr. Kiran M received his Doctoral Degree in 2014 from Department of Information Technology, National Institute of Technology Karnataka, Mangalore, India. He is awarded with Rajiv Gandhi National Scholarship/fellowship for pursuing his Doctoral Research. Currently he is working as Assistant Professor in Department of Information Science and Engineering, JNN college of Engineering, Shimoga, Karnataka, India. His research interest includes Quality of Service in MANETs, Cross Layer Design, Performance Analysis of Routing Protocols in MANETs and Swarm Intelligence.